One of the reasons I like winter is because it is the greatest time to wear tights! They are fun and add pizazz to a wardrobe, not to mention warmth! Depending on the quality and fit, they are very comfortable too. 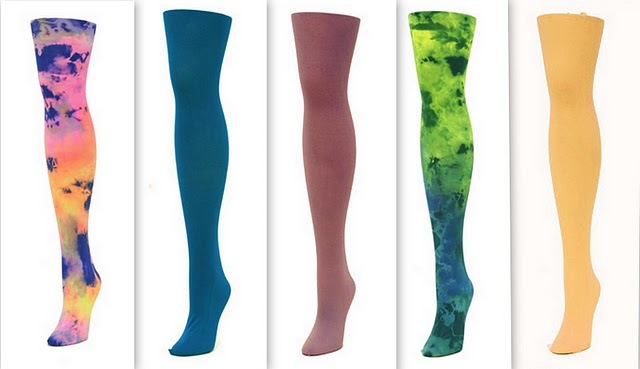 We Love Colors, inc. is a family run business that makes tights, and when I say tights, I mean tights of every color and style. I actually have been admiring this particular company from afar for quite awhile! 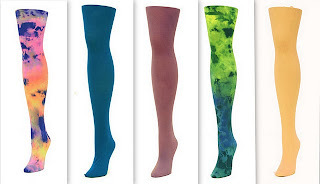 Founded in 2003, We Love Colors specializes in selling tights, leggings, dancewear, fishnets, socks, and they do it for men, women and children of all ages and sizes! We Love Colors has so many color and style options and leaves the door open for so much creativity. I am amazed at all the wonderful combinations that can be made with a simple pair of tights! Here are some of my favorites! I was a wussy and ordered the light gray nylon/lycra tights instead of a more crazy bold pattern. They are so comfortable and made me crave more! So I ordered the gray tights and love them! Next time I’m going nuts and will order some thigh highs! We Love Colors comes in the largest selection of 51 different colors, 13 splash colors, Zebra prints, checker tights and stripped tights. I love the soft feel of the material. It is definitely the softest pair of tights I've ever owned. Then my interest is piqued when I look at the Croche Fishnet tights! Super cute pattern! And here we have the problem with reviewing a great company like We Love Colors! I get slightly drunk with all of the endless possibilities and end up spending way more time and money than I had ever intended on spending in the first place. Damn you, We Love Colors! Another obsession! Another item that I definitely, most definitely will have to put into the NEED category. Disclaimer: I was provided product for an honest review! Wow, those are some cool looking tights! I kinda wish I was a tights wearing gal .. but alas, only at Halloween ... even then. However, once I reach "old croanie" I fully intend to partake. Read your review but l could not leave a comment. I think the tights are great and l love all the variety. Wow, they have some really cool prints. I'm not brave, but my girls are and they would love these. Wow, I'm impressed by all the colors and styles available. There is a pair of tights to match absolutely every outfit! my daughter would love these. She loves color and cool things like these.